At MB Racks, our top loading clamps are ideal for automatic electroplating lines in the circuit board industry. Our top loading Clamps are ideal for Automatic electroplating lines. 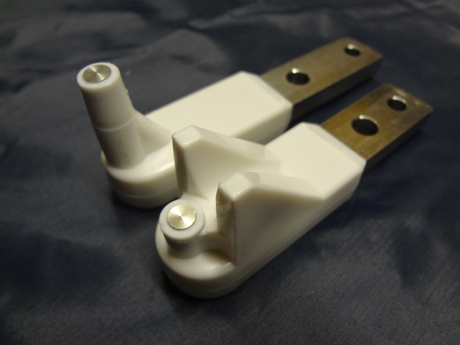 In general, clamps are installed on the flight bar and remain fixed in position for an extended period of time. These are not recommended for users who plan to remove the racks from the flight bar in between each cycle. Panels loaded from the top means more room for panels in the plating tank. Longer vertical racks such as our Copper Core racks need 2 inches in between each panel to fit the rack in.